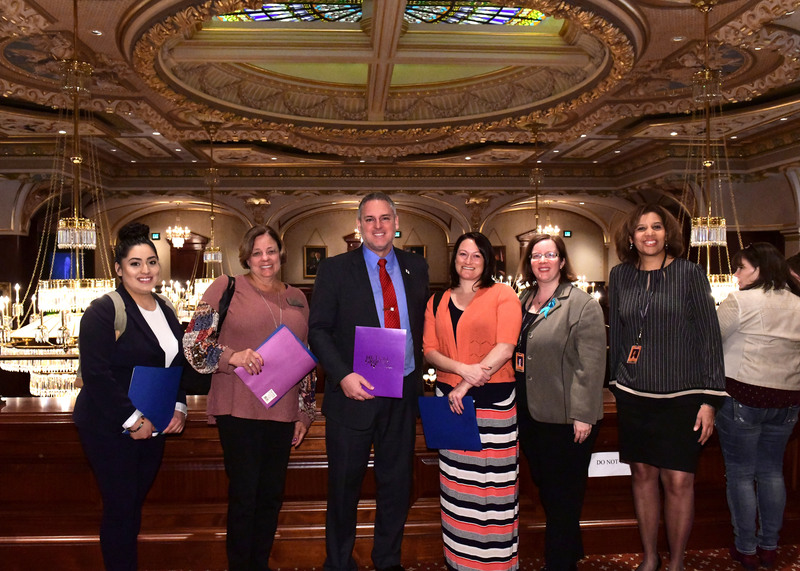 Rep. Wheeler welcomes advocates from Mutual Ground in Aurora to the House of Representatives for the passage of HB 2135. The Illinois House of Representatives approved legislation Thursday introduced by State Representative Keith R. Wheeler, R-Oswego, to remove the statute of limitations on prosecuting sexual assault offenses and thereby give law enforcement and prosecutors the ability to conduct an investigation and bring charges against a suspect without a time restriction. The legislation, House Bill 2135, earned unanimous bipartisan support in a vote of 113-0. At the Capitol and present for the passage of House Bill 2135 were a group of supporters from Mutual Ground in Aurora. Representative Wheeler recognized and welcomed them during his remarks. House Bill 2135 now advances to the State Senate. “On behalf of the Board, Staff, volunteers and many individuals and families Mutual Ground serves, I would like to say how pleased I am that HB 2135 has passed through the house unanimously. I would like to thank Representative Wheeler for helping to offer justice for the many adult victims of sexual violence who need it,” said Michelle Meyer, Executive Director of Mutual Ground. Currently, the statute of limitations on prosecuting sexual assault is within 10 years of the commission of the offense for victims who are over the age of 18 at the time of the sexual assault, if the victim reported the offense to law enforcement within 3 years of the offense. For questions or more information, please call Representative Wheeler’s office at (630) 345-3464.